Dr. Meredith Bull is a licensed naturopathic doctor with a special interest working with individuals aged 60+. She strives to optimize her patients’ health throughout the aging process so they can enjoy life at every age. Her treatment philosophy focuses on simplifying healthcare needs through lifestyle modifications, botanical medicine, and additional complimentary therapies as they align with the individual needs of her patients. Dr. Bull is a graduate of Bastyr University in Seattle, WA, one of the top accredited naturopathic institutions conferring the four-year Doctor of Naturopathic Medicine degree necessary for licensure as a naturopathic doctor (ND). 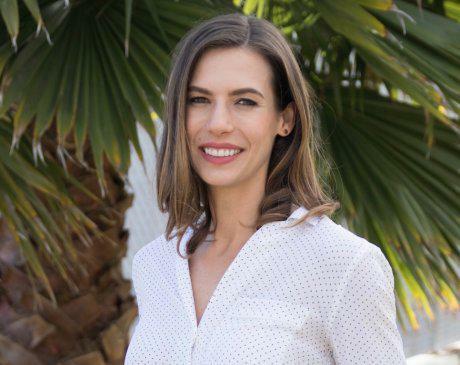 She left a comfortable but unfulfilling career in finance to pursue a life-long interest in health and wellness and chose naturopathic medicine for its patient-centered philosophy and sustainable healthcare model. Dr. Bull holds a Certificate in Gerontology through the University of Washington for which she was awarded the H. Asuman Kiyak Endowed Student Support Fund Scholarship. Dr. Bull is also a contributing author to the first integrative geriatrics textbook, Integrative Geriatric Medicine, available as part of the Andrew Weil Integrative Medicine Library. She is a member of the American Association of Naturopathic Doctors, the California Association of Naturopathic Doctors, and the Gerontological Society of America.